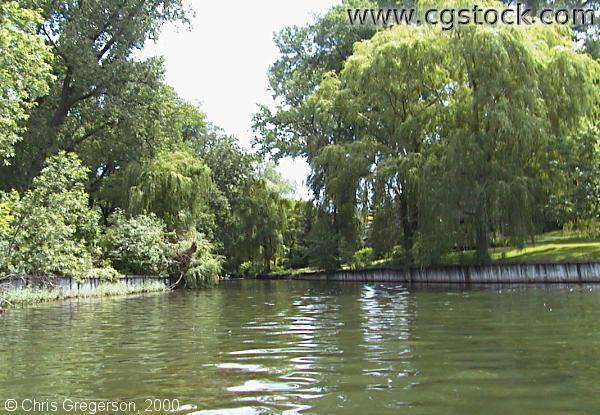 You are in a canoe on Cedar Lake, looking east at the channel to the Kenilworth Lagoon. Most of the Lake is behind you. You can travel from Lake Calhoun at the south end through the Calhoun Lagoon, Lake of the Isles, the Kenilworth Lagoon, Cedar Lake(this lake), and a channel on the northwest corner that leads to Brownie Lake.